High speed packaging lines depend on dispensing a precise amount of adhesive material at the exact location and at just the right time. If not, your maintenance team has a very expensive line down, cleaning up over-spray and reworking non-conforming materials. The world leader in high speed adhesive dispensing equipment has placed its trust in us since our founding in 1982. Spray nozzle tips with drilled holes in stainless steel down to 0.012” diameter deliver consistent results day in and out. 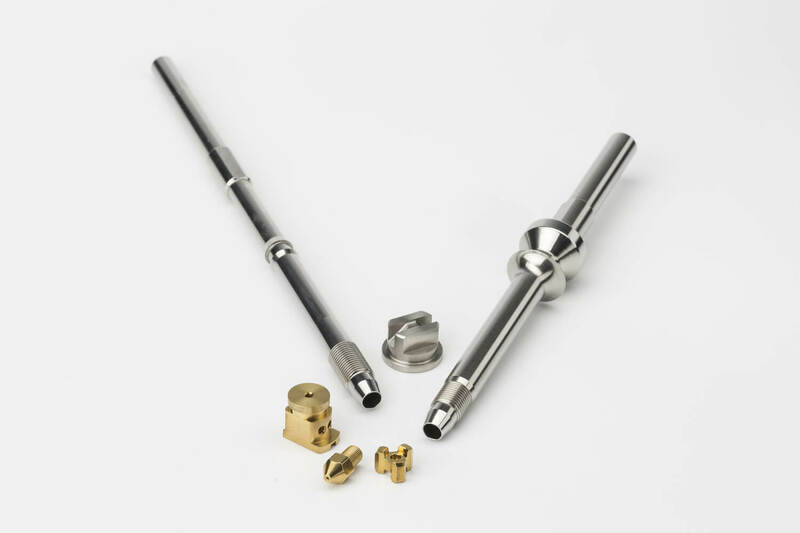 Right angle nozzle bodies help deliver product to difficult areas and it is our team that delivers the trusted components straight to the production lines every day. However, it’s not only adhesives for packaging, we also manufacture the very best liquid bottling vent tubes in the industry. 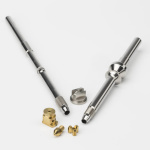 Whether it’s soda, water or beer bottling lines, they all rely on our highly engineered vent tubes (press fit and screw type) made from precision drawn stainless steel, manufactured on state-of-the-art CNC Swiss machines and polished to a jewelry like finish. Leading manufacturers and bottlers turn to us when they need the very best.